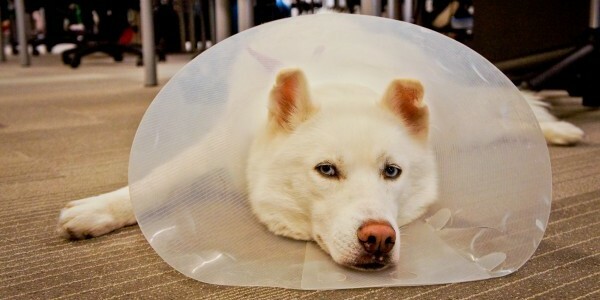 Hopefully your Monday is off to a better start than HootDog Link Pell, who is having a serious case of the Monday cone head. 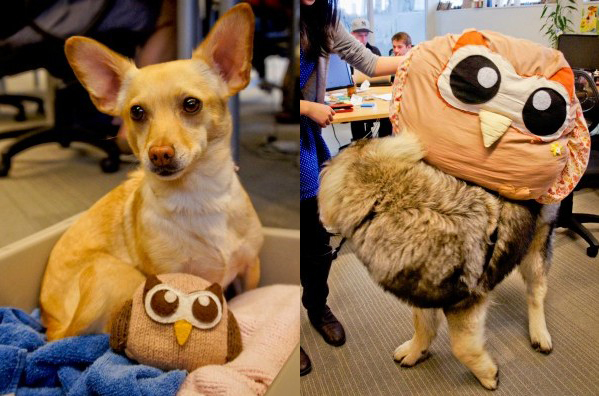 Before you retire to your desk to lick the wounds of the weekend, enjoy this cute HootDog photo essay with your morning cup of coffee. Jasper is calm, cool and maybe even a tad bit collective. 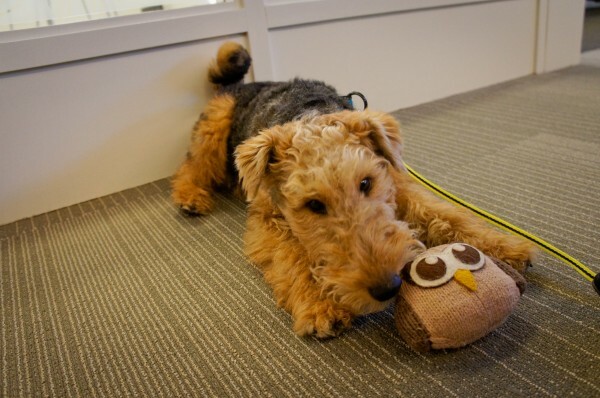 While mum Vanessa Fuller works away as HootSuite’s Executive Assistant, Jasper dreams of dog treats, frolicking in the grass and what his good bud Mika is up to. 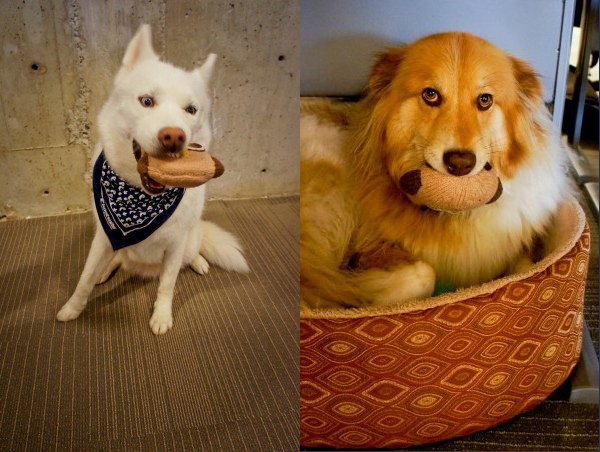 Be friends with Jasper on Instagram. 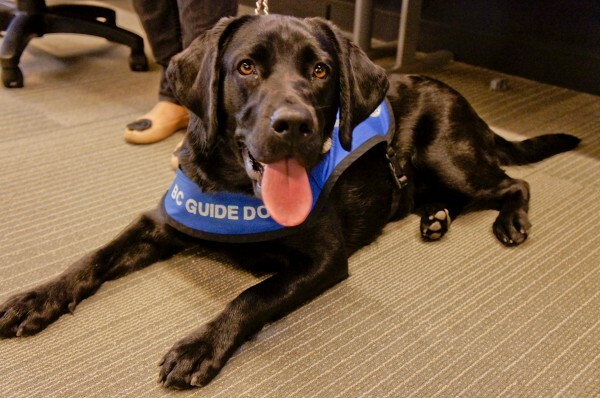 Pammy is in in line to become a BC Guide Dog, set to start training at the end of this year. 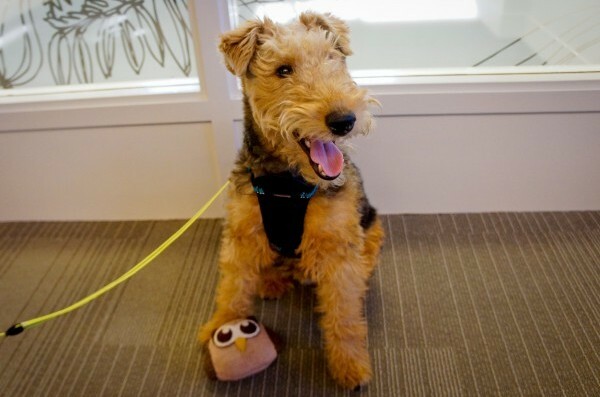 But since school’s out for summer, you’ll find her amped up and ready to play with Edward Steele, a Software Developer at HootSuite. 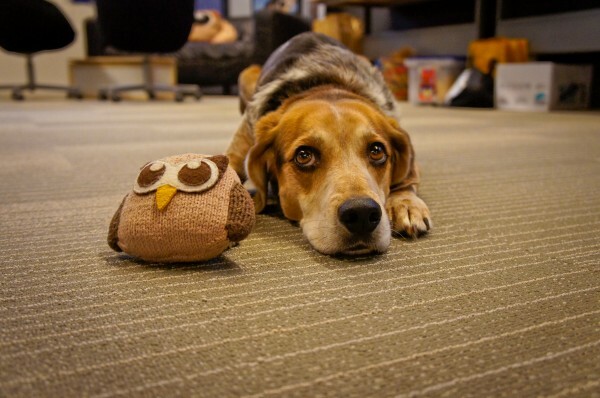 Tiger is HootSuite’s biggest HootDog and always the talk of the office when he’s in house. He doesn’t like the scale, so dad’s not sure how heavy he is. 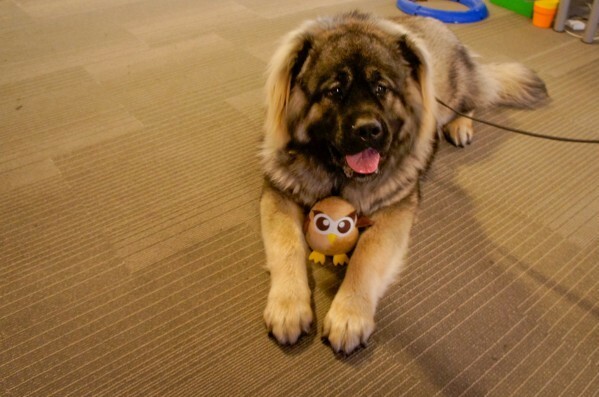 Find Tiger leaning on David Go, HootSuite’s Mobile QA Engineer. 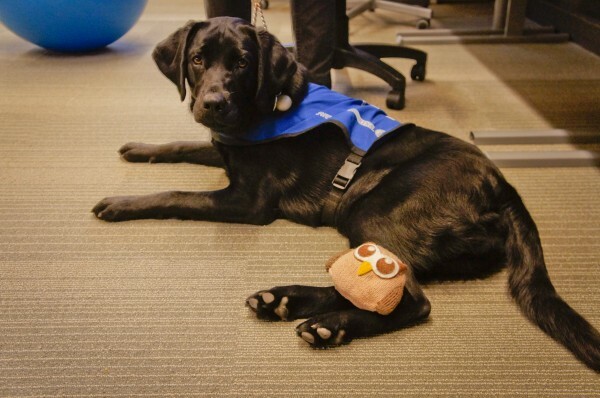 Be friends with Tiger on Facebook. 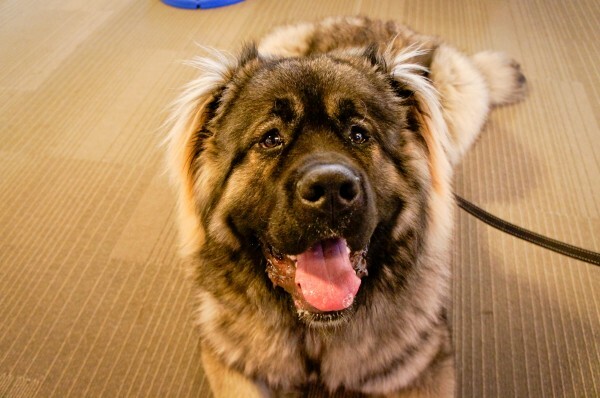 Find Kobe trotting around the office, sniffing, exploring and happily introducing himself to everyone. Wondering who he’s always smiling at? 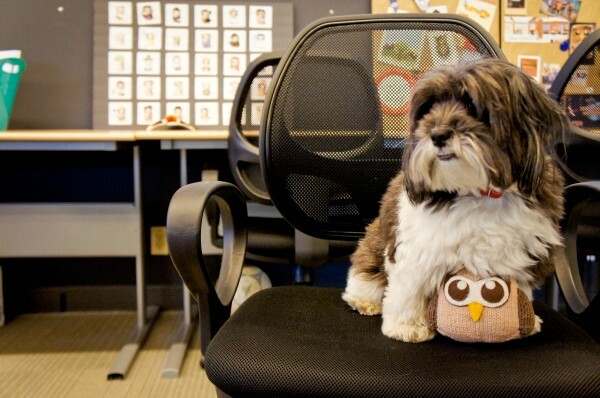 Without a doubt it’s mum Kristine Naldoza, HootSuite’s Talent Specialist. 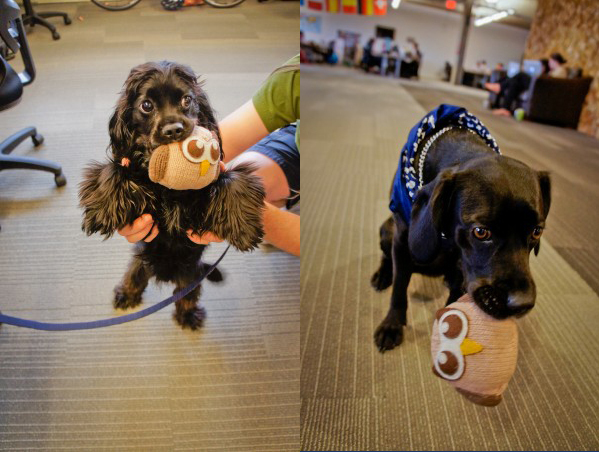 Love our HootDogs? 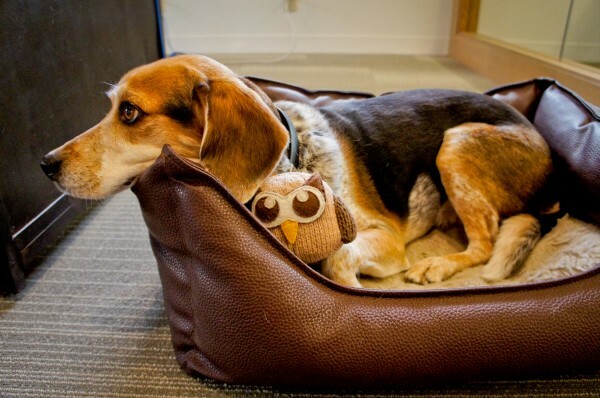 Win a special #HootDog HootKit! 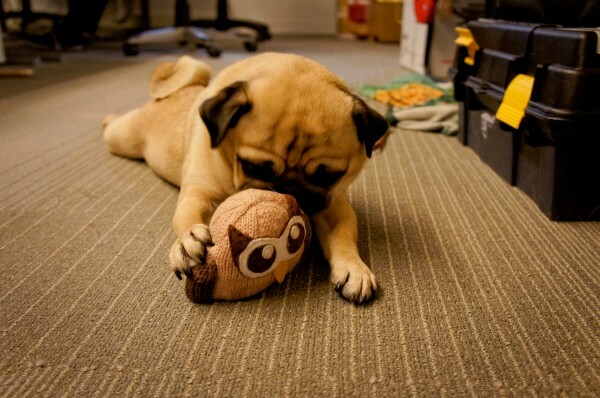 Keep an eye on @HootClub Twitter account for the results!